C&B Equipment, INC.BLOGDIP SystemA million here, a million there…Soon we’ll be talking about real money! A million here, a million there…Soon we’ll be talking about real money! that the toilets are used for disposable of other than human waste and toilet paper. The cost of labor and equipment to clean the pumps or remove trash from the wet wells is not cheap. Some lift stations require daily attention just to remove and haul trash away. If a pump has to be pulled up to remove the clog it typically costs a city a minimum of $400 in personnel time and use of equipment. There are some lift stations that this is done weekly! Years ago, when cities grew and running water use was increasing, sewer lines were installed to remove the wastewater. The common practice, then and still today, was a sloped gravity line from a building or buildings to drain into a wet well that held a predetermined volume of the raw sewage waste. These wet wells have been used since the 1930’s. Pumps were installed in dry pits or above the wet wells to move the retained sewage to a treatment plant. In the early 1950’s submersible pumps were developed and became the norm. Submersible pumps were placed down in the wet wells with the sewage. Float switches determined when the level reached the set point to turn on the pumps to batch pump it to the treatment plant. Here it is, almost 70 years later and the same system is being used…Submersible pumps in wet wells. Wet wells are usually found in neighborhoods or areas of high density where the water usage is greater and the sewage generated is a higher volume. They are usually 8 to 10 feet in diameter and 20 to 25 feet deep. The sewage is drained into the wet wells and held there until pumped. This sewage waste produces hydrogen sulfide, a noxious gas with the unpleasant odors associated with it. Now, with the advent of wipes and other “flushable” items, these wet wells now serve to collect the added trash. Wet wells are pumped out by use of a “Vac Truck” at least once a year for cleaning. Float switches require cleaning to perform as necessary. As long as wet wells are used, these expenses never go away. Dependent upon the topography and population, cities have many wet wells. As I said, it’s 70 years later and you would think by now there would be a better way! The submersible pump manufacturers are “trying” to address the wipes issues. They have made changes to their impellers, suggested a redesign of the shape of the bottom of the wet well, added “flushing valves,” changed the way they pump by a momentary reversal to hopefully dislodge a clog, and made claims that they have eliminated the problem. All of these pumps are still in use and still must use the 70-year-old wet well with all of the associated costs and odors. But all of this is not a new issue. The Europeans began using wipes many years ago and the costly issues that we are now facing were and are being solved for many cities there. 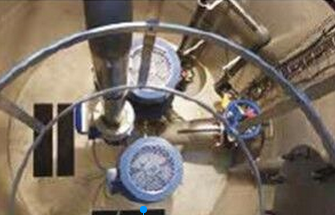 This innovation in wastewater pumping was developed and implemented in France many years ago. It’s time for the United States to catch up! While the submersible pump manufacturers and others who require a wet well to retain and move wastewater make misleading statements that they’re “the first to offer” or that they “significantly advance” or that their impellers do this or that, they all need the sewage waste retained in a wet well. They will not tell you that as you have a wet well you will have the continuing cost of ownership for as long as you own it. How do you save the cost of maintenance that all of the submersible or wet well users require? You can start by eliminating the 70-year-old “technology” and embracing the innovation that began in France 14 years ago. There is an innovative pumping system that eliminates the wet well, eliminates the float switches, eliminates the valve vault, eliminates the odors, and ends the wet well maintenance forever. This system is of stainless steel and ends the corrosion maintenance forever. It is designed and provided with soft start and soft stopping that ends the water hammer shock to valves and aging piping. It is managed remotely, (not just monitored) using a smartphone, a tablet, a laptop or a desktop from anywhere at any time. And, the best part is the self-cleaning pumps…No human intervention needed. You could be “on call” and manage your lift stations from home while watching the game. Did I mention that there is no longer the need for the 70-year-old wet well? In fact, this system is designed to be installed into an existing wet well that will become a clean, dry machine room that is safe for employees to enter if need be. With the lack of maintenance required, think of the cost savings from now on. What if you need to change an impeller? It can be done in as little as 15 minutes using common hand tools. This is impossible with submersible pumps. The pumps in this system can run dry for 150 hours with no problem. They can start and stop up to 150 times an hour with no problems. Again, this is impossible with submersible pumps. Why continue to use the 70-year-old “technology” and continue to spend needlessly. The innovative technology the will reduce your total cost of ownership is the DIP System®. You can learn how easy the installation is and how quick it will pay for itself with just an email or a phone call.